There are many differing opinions as to the causes and treatments of what is now viewed as an Epidemic of Canine Skin Disorders, the itching, scratching and chewing commonly referred to as “Summer Itch Hot Spots”. These dog skin rashes are generally known as 'Hot Spots' because these skin disorders are often associated with warm weather, but not always as Trudy Talbott discovered. Hot Spots are often diagnosed as Eczema, Pyoderma, Seborrhea, thyroid problems, auto-immune disorders, staph, yeast infections allergies to fleas, certain foods, grass, mould or other environmental substances. Itchy hot spot skin conditions must not be confused with flea or mange infestations. Demodectic Mange and Sarcoptic Mange are parasitic mite infestations and can be diagnosed by a skin scraping - fleas and mange can be successfully treated with an insecticide. Demodectic (Red Mange) is caused by small mites found naturally on most dogs but do not generally cause skin problems unless the dog’s immune system can'tnaturally control them. This skin problem may be inherited because certain bloodlines in some dog breeds are more ‘prone’ to Demodectic Mange skin problems. Democectic Mange is not very contagious and is generally passed on to nursing puppies by the mother and is most noticeable around the eyes and mouth. Most breeders will not breed these dogs. Sarcoptic Mange (Canis Scabies) is very contagious and can be life threatening for the dog and can easily spread to other animals and humans. Steps must be taken to eradicate the infestation in the dog’s entire environment as well as the dog and any other pets that may be exposed to the infestation. There does not seem to be a consensus as to the cause of hot spot canine skin disorders but they do have a common set of symptoms. It appears that some dogs develop an itch so severe that the they chew and scratch and traumatize themselves to such an extent that this process causes open wounds, infections, loss of hair, and sometimes roughening of the skin (elephant hide). The most common areas of irritation are around the back and tail, the abdomen, and the legs and paws. These symptoms seem to be more prevalent in warm weather and mild moist climates, but are known world-wide as far north as Alaska and as far South as South Africa and New Zealand. Research has shown this canine skin problem is world wide and affects many millions of dogs. Statistically, no one breed of dog appears more or less likely to develop hot spots, and mongrels are just as likely to develop a hot spot skin condition as is a pedigreed show dog. Age also does not seem to be a factor, puppies can develop these skin problems as early as a few months of age, and geriatric dogs may suddenly show signs of it when they have had no previous history of any type of itchy skin conditions. At this time there are a growing number of researchers that believe there may be a connection between the over-vaccination of the domestic dog population and the Epidemic of hot spot skin disorders. Quite often if a dog’s skin problems become more serious the dog may be ostracized by the family and even other pets as the skin problems become more visible and the dog’s skin may take on a very unpleasant odour. This can lead to the dog suffering serious depression that in turn aggravates the situation. Obviously, dogs feel the stress of being rejected in much the same manner as a human would. Unfortunately, many dog owners at this point in time, are faced with the unpleasant task of having to choose to have their dog euthanized to end the dog’s suffering rather than continuing expensive treatments that have not been successful in controlling the dog’s the skin disorder, which once again highlights the need for good pet insurance. According to a recent survey of Animal Control Facilities many dogs suffering from out of control skin conditions are brought to public animal shelters where they are considered to be unadoptable and many thousands of dogs in these shelters are put down for this reason. 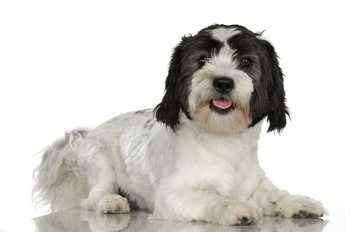 Many other dogs are put to sleep by private veterinarians to alleviate the dog’s suffering under the same circumstances. The next order of treatment is usually an antibiotic or other treatment to fight infection because the dog has irritated the skin to such an extent that it is an open and infected wound. Analgesics and pain suppressing ointments may be provided as well. These treatments are only designed to treat the pain symptoms and infections and do not address the problem or the cause of the itch. Some pain relief may be achieved but the itch remains and as soon as the pain relievers wear off the itch returns and the whole painful cycle begins again. Some veterinarians believe that hot spots are the result of a sensitivity or an allergy to some dog foods. Treatments such as special diets, (including specially formulated dog foods, raw food diets and supplements ) are often touted as the cure for hot spots but these diets are statistically inconclusive as to their efficacy. Over the counter remedies such as medicated or coal tar Shampoos, Tea-Tree and Emu oil, Aloe Vera and other home remedies such as Petroleum Jelly, Mouthwash and Vinegar are all are basically part of a last ditch shot-gun approach to the problem that owners will often try in the hopes that ‘something’ will work. Some Flea shampoos will also further irritate open skin wounds. Looking for dog shampoo for itchy skin? Click the link and find out more about ScruffyChops range of mineral shampoos, perfect for restoring balance. At this time there is no statistical evidence that any of the above treatments actually work to control the itch problem or that they are indeed a safe approach. While some temporary relief may be provided by some of these therapies, it is usually only temporary unless the itch syndrome is controlled. Some of these therapies can also be harmful and threatening to the health of the patient. About 25 years ago Cornell University Veterinary School in New York did a study of Canine hot spots skin problems to try to determine if any of the treatments available at that time were effective in treating this growing skin disorder. The study found that all of the customary medical treatments employed in the study were inconclusive as to their efficacy for the treatment of these skin problems and in fact about 30% of the dogs recovered from their skin problems with no treatment at all! This 30% recovery rate with or without has given rise to a large industry of questionable alternative methods of treating this painful canine skin disorder. These alternative treatments are unsupported by statistical or scientific method as to their effectiveness and are generally referred to in “Testimonials” with little, if any, scientific evidence or statistical testing to back up such claims. It is estimated that more than 50% of the total veterinarian income in the Southern United States is derived from treating hot spots alone. However, don’t give up hope just yet! There are some recent scientific advances in research with statistical evidence which gives real hope that there may be some actual relief in the future for the million or more dogs world wide that suffer from this painful problem.